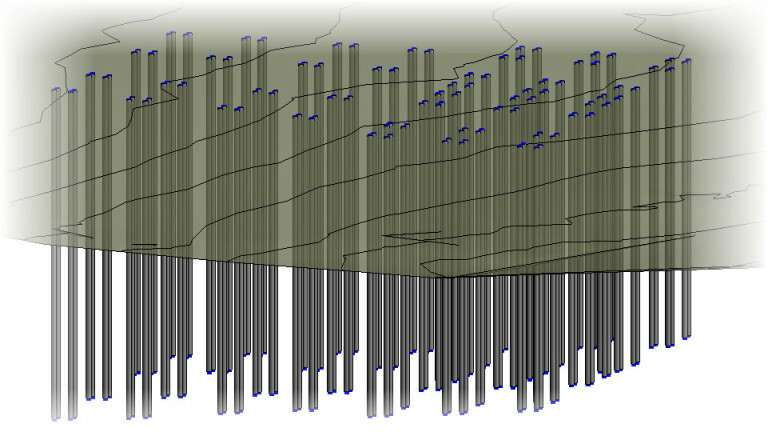 In this tutorial we will look at a simple method to generate piling from a finished ground level to a rock stratum from borehole data. Most of you will now have access to the Autodesk AEC collection but, I often find that people tend to use just one or two tools from this collection which doesn’t return value or efficiency. In this workflow we will utilise Revit 2019, Civil 3D 2019 and Dynamo. 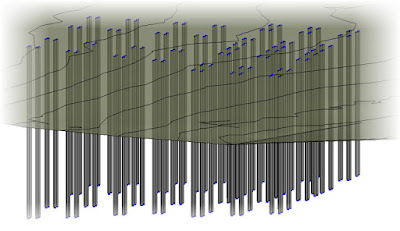 This workflow can also be achieved using Dynamo and Revit to find the intersections between the piling and the surfaces, but this can take quite a while to execute on large datasets, is computationally expensive and will invariably crash the machine.